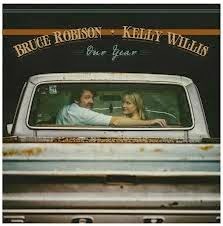 It took Kelly Willis and Bruce Robison a while to get the duet recording bug but hot on the heels of last year’s CHEATER’S GAME, we have another delightful collection to whet the appetite of those forever searching for real country music in today’s contemporary market. If you want to lose yourself for half an hour in a whirlpool of delectable duets, classic country, sublime steel and heart breaking harmonies then OUR YEAR demands your attention. The ten tracks selected reflect well on Kelly and Bruce’s ear for a song as their writing input has been limited to just a trio of numbers but the choice of cover will certainly educate and entertain. The legendary status of Kelly and Bruce is anchored in Austin, Texas and while their fruits should be enjoyed far and wide there is a thread of hometown influence throughout the album. In fact the record kicks off with a track written by Bruce’s younger sister Robyn Ludwick. ‘Departing Louisiana’ will hook you into the album groove immediately as Bruce takes lead vocal and fills the interludes with harmonica. Of course family links have not been far from Bruce’s music dating back to his classic ‘Travellin’ Soldier’ taken to the top of the country charts by the band of his then sister-in-law Emily Robison. Another Austin link immediately follows as this time Kelly launches into the Walter Hyatt penned rocker ‘Motor City Man’, once again laced with Bruce’s harmonica. The vocals of Bruce and Kelly, whether as two or as one, gloriously decorate track after track on the record though as indicated earlier, their writing is sprinkled more conservatively. Bruce has teamed up with Darden Smith to pen the ultra- traditional ‘Carousel’ and liberally drenched the track with fiddle and steel to ramp up the authenticity. On ‘Anywhere but Here’ Bruce has shared the writing duties with Monte Warden while Kelly hooked up with highly successful song writer Paul Kennerley on the effortless ‘Lonely for You’. Probably the most well-known song on the album is the duo’s version of Tom T .Hall’s ‘Harper Valley PTA’ and Kelly stamps a little bit of vocal originality on this recording which is neatly supported by an accompanying video. Bruce and Kelly join an illustrious list of artists to record ‘A Hanging On’ and on an album driven by a traditional sound possibly reflects best the mood of the record. Although this verdict is ran extremely close by a version of The Statler Brothers’ ‘I’ll Go to My Grave Loving You’. The work of esteemed artist/writer/producer T.Bone Burnett is celebrated in covering his ‘Shake Yourself Loose’ and this short but satisfying serving of real country music concludes with a version of The Zombies ‘This Will Be Our Year’ given an Austin style makeover. Along with informing the album’s title, the message of this song could be a cryptic clue to an increased level of appreciation and admiration that OUR YEAR may bring. Optimistically this will apply in the UK as the link up with Thirty Tigers is already ensuring greater press over here and the album availability will be far wider than the equally impressive CHEATER’S GAME. 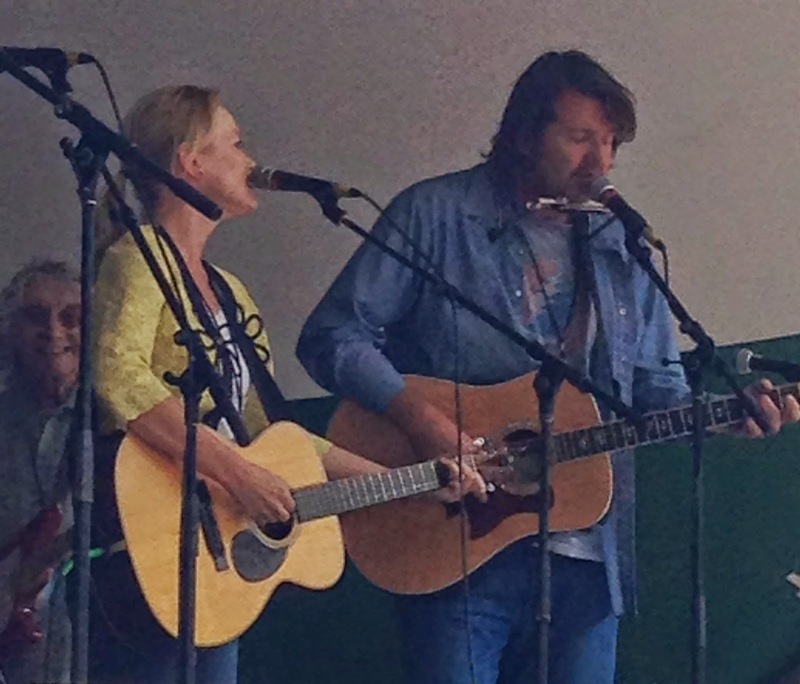 Having been fortunate to see Kelly Willis and Bruce Robison play live last year at the Calgary Folk Festival this recommendation comes first hand and without hesitation, OUR YEAR will be featuring high in certain end of year favourite album lists.